An update to disarticulate for the Processing installation at the 2006 Cooper-Hewitt Design Triennial. 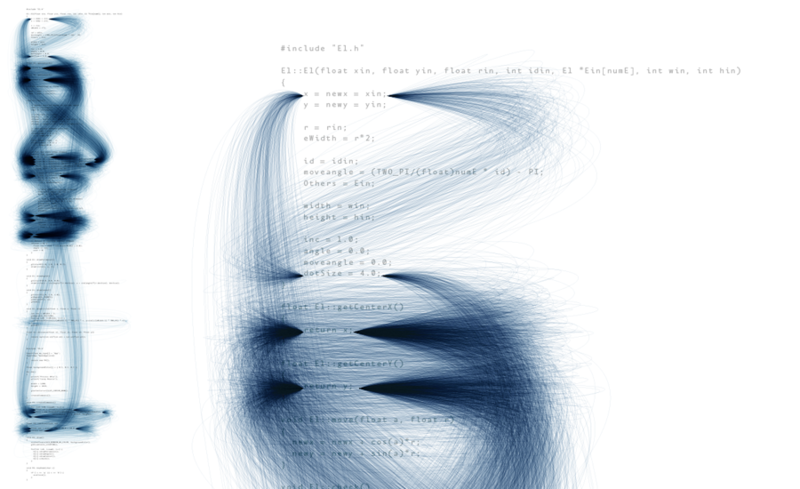 Shows the sequence and repetition of code from a project by Casey Reas. The disarticulate page explains in greater depth. The original image is 11 inches wide and 36 inches tall (seen at left, detail at right). It is a fine art print done in an edition of five. There are two remaining prints of this piece available, send email to mail at benfry.com if you're interested in acquiring one of them. © 2008 Ben Fry, this image may not be reproduced without permission.